When you do get back in your home, check for any further damage or hazards. Electrical wires, structural damage, and food left in the home need to be checked before you use them again. Once you’ve dealt with the initial shock, you have to start preparing for insurance, potential lawsuits, and recovery. The initial shock during and directly after the fire can be overwhelming, so taking pictures might be the last thing on your mind. But try to take pictures of the damage. Your insurance company will ask for things like this. ServiceMaster by PWF is a preferred insurance company restoration provider. It’s also a good idea to keep any of your ruined furniture, appliances, and other large possessions for insurance purposes. Keep as many receipts and records as you can. Many of your expenses, like a hotel, clothing, food, and toiletries, can be used in your insurance claim. Ask about restoration company that can help with cleaning up soot like ServiceMaster by PWF, boarding up windows, and other construction. 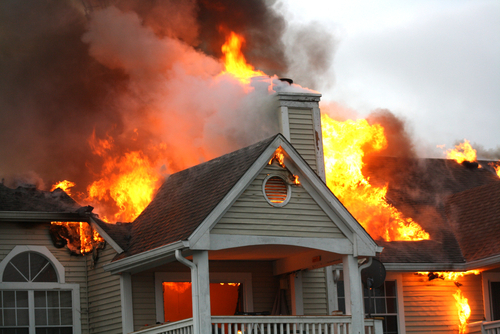 Immediately after a fire, minor or major, you’ll need to clean up any soot or water damage. It is important to hire a reputable service like ServiceMaster by PWF to deal with these issues. From your home’s structure to all items found it, fires destroy basically anything that they can find. The professional teams at ServiceMaster by PWF can offer many different fire damage restoration services, such as repairs and contents cleaning. That’s not all. No matter what the fire damage looks like; our goal is to get the property back to normal.